Kevin loves helping both sellers and buyers with their Real Estate needs. He takes your best interest to heart. He is honest, friendly, and professional. Please contact Kevin today for information or an appointment to get started. Kevin is a very experienced Realtor with over 20 years selling Real Property in Northern Humboldt. He has facilitated hundreds of Residential transactions, numerous investment properties transactions (Apartments, duplexes), and raw land property transactions as well. Kevin is an active participant in the local real estate association, having served on multiple committees, the board of directors, and as Board President in 2010. 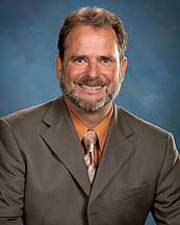 He currently serves as a State Director for the California Association of Realtors. Kevin is active in the community serving on the McKinleyville Municipal Advisory Committee. He also is involved with his 2 daughters' Elementary School as is a board member on the Fieldbrook Education Foundation. Kevin and his wife Allison are raising their two charming daughters in the beautiful area of Fieldbrook.